Congratulations, Brooke for being accepted into one of the top choral programs in South Florida! Your hard work and dedication has paid off and I am extremely proud of you! Brooke has been a student of mine for a few years now and though she has received achievement awards and has been cast in productions throughout Miami, this is one of her bigger feats. 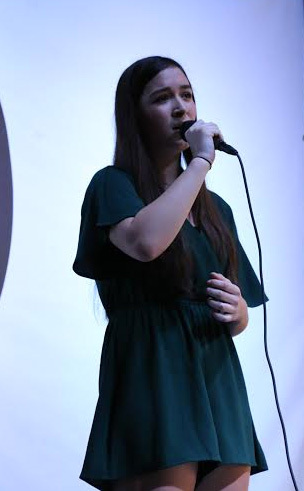 Passing not just a vocal test, but also sightsinging, music theory, as well as an interview process, Brooke was one 30 selected out of over 300 students that auditioned. She has an inspiring story that is a true example of how hard work and determination are the keys to success. Her tenacity and perseverance will continually push her to be successful. Congratulations again, Brooke!